Are You Ready for aCommerce? You read it right, aCommerce. This is what comes after eCommerce and stands for Automated Commerce—companies using algorithms and artificial intelligence to gain more efficiency from both the side of the business and the consumer. So what are examples of aCommerce that have prepared us for this change? From China to the United States, this emerging trend is a global phenomenon and the next step in smart retail. With the emergence of staff-less, smart phone-fueled stores, Tao Cafe in China along with HyperCity in India have debuted their cashier-less shops prior to Amazon's in Seattle. In the Tao Cafe, customers scan their smartphones at the door, take what they want off the shelves and leave—then they receive their bill via their phone later on. Whilst this may not be the best news for people who work in stores, who knows what expertise these companies will be looking for behind the scenes? aCommerce doesn't just apply to retail. With more and more consumers turning to applications to help them plan their spending, WeSwap's AI service provides a helpful estimate of how much a customer will spend in a specific location based on what other users experienced. As the user base increases, this tool will become more accurate as it's fed more information. Developed by Alibaba, a 'smile to pay' terminal was installed in a KFC in China that would allow you to pay via facial recognition, then you complete the transaction by adding your phone number. With the way that things are progressing, it's very likely in the future there will be no need to have physical cards or even a device, as you could just pay with your biometrics! Launched in October of 2017, Finery is an application that allows consumers to outsource most of their fashion retail needs. Syncing with your email it automatically adds your fashion purchases to a virtual 'wardrobe' sorted by design, type and colour. Users can add items to wishlists and receive discounts through notifications. Before the app even launched, it saved users more than $209,000. Boxed has a straightforward concept—buy things in bulk and save money in the long run. What makes Boxed a force that is taking on warehouse titans is the fact that they are coming up with inventive ways of being smarter and more consumer friendly. There's no membership fee, shipping is free on orders over $49 and perhaps most importantly, their smart system tracks what you order and reminds you when you are about to run out. Plus, they do great things as a company like in 2016 when Boxed teamed up with Unilever and Women in Need to support women's shelters. Your time and energy are your most valuable resources. Shopify has developed this automation platform in order to ensure that once you've opened a store with them, you can concentrate on your growth and fulfilling your orders. 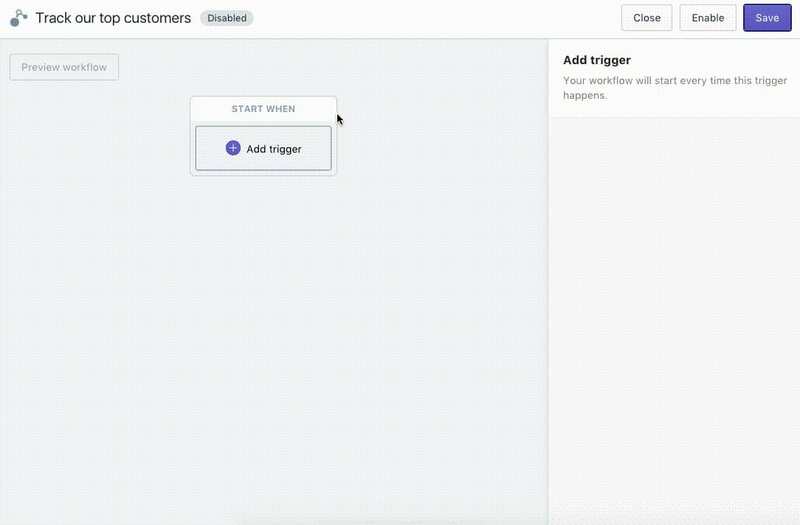 What's great about this platform is that you don't need to be a coding expert, as it features a visual builder so you can assign different rules to your customer's actions. The implications of this trend are amazing, especially when looking towards the tools that will surely become available as more and more companies develop software as an answer to businesses needs. Expectations of consumers are something to take note of too, as this should definitely play into the decisions that companies will make in the future for their strategies moving forward. On a deeper level, it's likely that in the end, we'll be selling as much to algorithms as we will be to people, focusing on convenience, content and less on location.